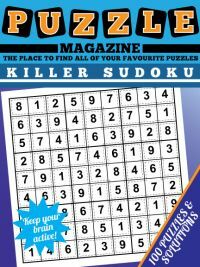 We are all familiar with standard sudoku, but when you want a larger challenge that will test your sudoku endurance to the max, one of the best challenges is sudoku 16x16. This larger version of the puzzle has 256 cells rather than the 81 of the standard 9x9 puzzle. This means that it takes a lot longer than a normal sudoku to solve, and with these large sudokus you need patience, an eye for detail, and to be methodical in your approach. Certainly you will need to use pencilmarks. 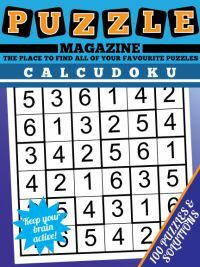 Sudoku 16x16s are hard to come across in newspapers and general sudoku magazines, and on the occasions they are printed the cells tend to be quite small which makes noting down all the pencilmarks in the space provided tricky. 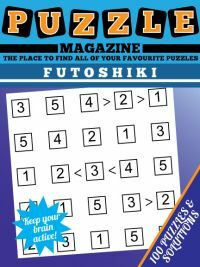 Our 16x16 sudoku magazine contains 50 all new puzzles and their solutions for you to play. 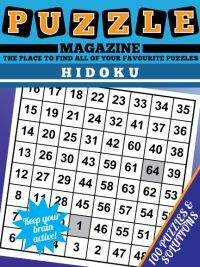 Print the puzzles one by one to take on the train, plane or to do at home... or print them all off at once, it is entirely up to you! 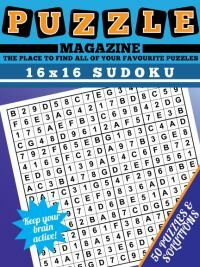 The 16x16 sudoku magazine contains 100 pages, with one puzzle per page. After the 50 numbered puzzles are the solutions, again 1 per page. The paper size is A4 and the large size of the puzzle makes it easy to keep track of your pencilmarks and the possible values for each cell so that you aren't left struggling for space. 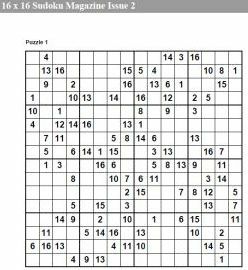 You can view a sample16x16 Sudoku here which shows the size of the puzzles in the magazine, though without the puzzle / page numbering etc. 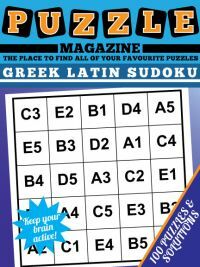 We're pleased to announce the launch of a second issue of 16 x 16 magazine containing another 50 fantastic 16 x 16 sudoku puzzles for you to enjoy - here's a sample page from 16 x 16 sudoku magazine issue 2.